The Bermuda Basketball Association’s Winter League season sponsored by ONE Communications continued with a double header inside the Bermuda College Gymnasium. The night saw a total of 254 points scored between the four teams. Game 1 saw the Warwick RimRockers defeat the Smith's Court Kings 80 – 53, Ronald Bushner scored 19 Points for the Warwick RimRockers, to go along with 6 Rebounds, 3 Assists, 2 Steals and 1 Blocked Shot, also scoring 19 Points for the Warwick RimRockers was Jorel Smith, he would add 3 Rebounds, 10 Assists and 1 Steal. Markez Laws would lead the Smith’s Court Kings with 19 Points, to go along with 5 Rebounds and 4 Assists. 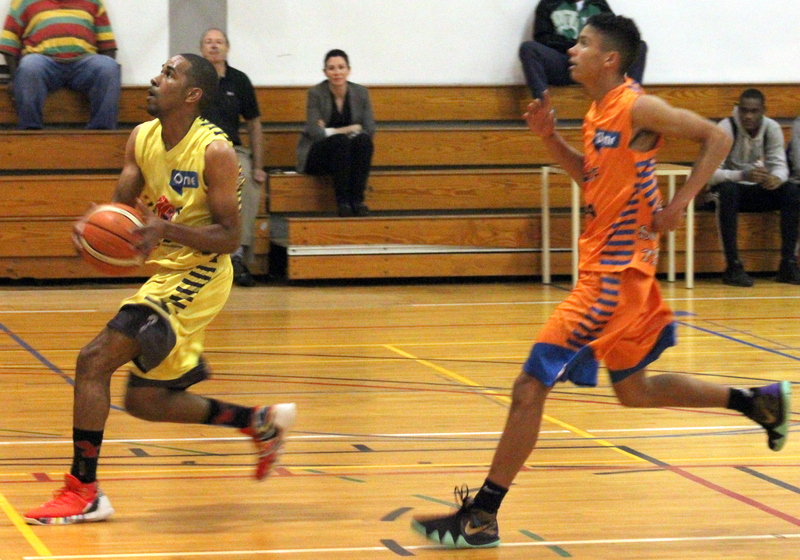 The Hamilton City Twisters defeated the Devonshire Chargers 79 – 42, the Hamilton City Twisters would get 18 Points from Darae Smith, he would add 6 Rebounds and 1 Blocked Shot, while Kevin Stephens led the Devonshire Chargers with a game high 20 Points, 7 Rebounds and 1 Assist.